Nancy is originally from Charleston, SC where she earned her Physician’s Assistant Degree. Her first position was in the Neonatology Unit at Medical University of South Carolina, caring for premature infants. After leaving Charleston, she moved to Rochester, NY with her husband Brad, and worked in surgery and general pediatrics. Finding Rochester too cold, she returned to the warmer south, working for sixteen years for Meridian Medical Group in pediatrics. 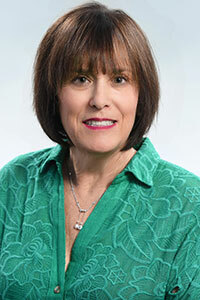 Nancy has been with CMG for 12 years in the John’s Creek office. Nancy and Brad live in Peachtree Corners with their two Border Collies, Max and Maggie. They have two adult children, Marissa married, and Jeremy an environmental major in his last year of college.